The Endeavor Flyover: Getting a Premium Rush in L.A.
We're gonna ride it till we just can't ride it no more . . .
As every resident knows, L.A.’s such a sprawling megalopolis that it just has to be negotiated by automobile. The freeways, of course, are the way you whisk yourself from here to there . . . except on those odd occasions when they’re closed to all comers. The much-traveled San Diego Freeway (also known as the 405) normally takes thousands of L.A. drivers from the suburban San Fernando Valley over the Sepulveda Pass to the trendy Westside. But starting tomorrow night we’ll have to contend with Carmageddon 2, a sequel to last year’s weekend-long shutdown. Which means a lot of us won’t be going much of anywhere. It was less than a week ago when we Southern Californians got a real lesson in speed, as well as the perks of celebrity. Friday, September 21 was the day the space shuttle Endeavor, riding piggyback on a 747 jumbo jet, entered L.A. airspace, en route to its retirement home at the Los Angeles Science Center. Our city was granted one of the four surviving shuttles because of the importance of the Southern California aerospace industry throughout the shuttle era. We all knew the shuttle would be flying south from the Bay Area, but I don’t think most of us realized in advance the scope of its victory lap. For over an hour, Southern Californians of all stripes were bound together by a remarkable sky-show, as Endeavor cruised down from Malibu (crank up the Beach Boys, baby! ), passed over the Santa Monica pier, flew by the posh mansions of Brentwood and the skyscrapers of Downtown, circled the Jet Propulsion Lab in Pasadena, then dipped its wing to the Queen Mary in Long Beach Harbor before alighting at LAX. I myself saw Endeavor under the best of circumstances. I’d breakfasted at a rooftop restaurant in the Miracle Mile, then joined a throng of excited Angelenos watching as Endeavor glided over the Hollywood Sign and the nearby L.A. Observatory (which I’ll forever associate with Rebel Without a Cause). The sky was a pastel blue, the air was clear, and the moment was magical. This being L.A., the news media included in their coverage of Endeavor the reactions of show biz names from Justine Bateman to Tom Hanks (whose role as astronaut Jim Lovell in Apollo 13 has pumped up his enthusiasm for all things space-related). His tweet: “Just flew over my head!!! Don't see this everyday. Never will again. The Spaceman in me just went berserk. Hanx." If Endeavor on its farewell flight was poetry in motion, it was also a reminder of how rarely we in L.A. really feel the pleasure of speed. There are just so many of us -- so many cars, trucks, motorcycles, and (heaven help us!) SUVs -- that the on-the-road feeling we love is increasingly impossible. Pondering that fact, my mind makes a cross-country leap to a movie I recently enjoyed, a chills-and-spills action flick set among the bicycle messengers of New York City. 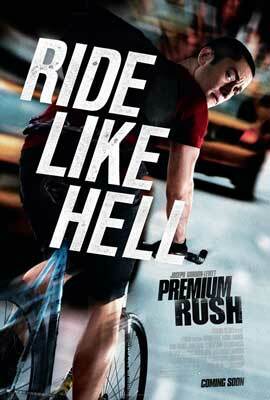 Premium Rush is worthy seeing for its kinetic energy. Quite a contrast: the heavenly gliding of Endeavor and the “ride like hell” pedaling of Joseph Gordon-Levitt, ricocheting off of car hoods on the mean streets of New York. Hooray! It’s one of my favorite holidays, National Punctuation Day, as proclaimed by the high priest of the apostrophe, Jeff Rubin. Jeff and wife Norma have taken it as their life mission to spread the punctuation gospel. But I feel obliged to focus today on punctuation, especially the elusive apostrophe. In the late Sixties there appeared a modest black-and-white documentary that captured the “Up yours!” spirit of Baby Boomers, coming of age at a time of war and urban strife. In 1965, D. A. Pennebaker accompanied Bob Dylan on his debut concert tour of England. The resulting documentary, released in May 1967, was a raw and revealing look at a young man often called the spokesman of his generation. Its title was Dont Look Back. In 1965 Bob Dylan was a twenty-four-year-old folk balladeer who had not yet stunned his fans by switching to electric guitar. Through such protest songs as “The Lonesome Death of Hattie Carroll” and “A Hard Rain’s A-Gonna Fall,” he spoke to his young listeners about the scourge of racism and nuclear apocalypse. By the time of his British concert tour, he had acquired a global following, but was increasingly wary of his growing fame. Dylan’s unease manifested itself in Dont Look Back as prickly behavior that bordered on arrogance, underscoring his refusal to be sucked into the starmaker machinery on which the recording industry relies. Whether meeting other musicians or jousting with the press, he came off on film as guarded and sometimes downright hostile. A prime target of Dylan’s on-camera barbs was the London-based arts and science correspondent for Time magazine, who during a tense Q & A was made to look foolish and out of touch. 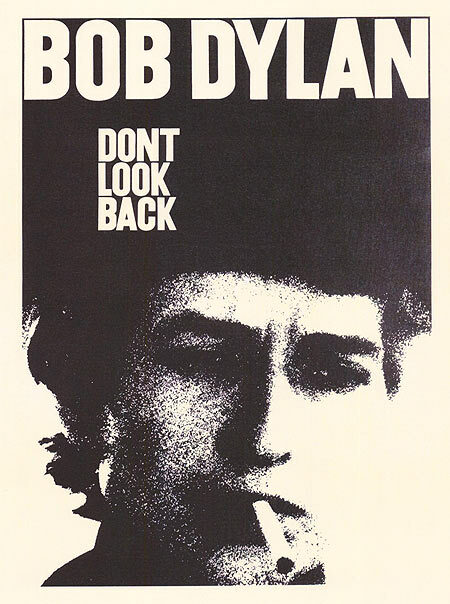 So it’s no surprise that the Time review of Dont Look Back was extremely harsh, calling the film “a ninety-six-minute essay in cinematic truthtelling that may explain how the thin-voiced bard of the bedraggled became a subcultural prophet and a millionaire by combining the most resonant clichés of alienation and some not very distinguished music.” What Time’s reviewer missed (aside from the quality of Dylan’s musical output) is key to what attracted the young fans: the fact that Dylan, both offstage and on, so completely negated what their parents would consider appropriate entertainment. His slapdash mode of dress, his laconic on-stage manner, even his droning and nasal voice were affronts to the middle-aged. He represented the quintessential rebel, the surly punk who had no use for his elders. Even that missing apostrophe in the film’s title hinted that its subject was a rebel, pushing hard against the rules of polite society. Today Bob Dylan is still going it alone, and still making music. His 35th studio album, Tempest, was released on September 11, 2012. No telling, though, whether his attitude toward apostrophes has improved. (Or whether he’s figured out that “alright” is not really a word.) Nonetheless, I hope he’ll join me in celebrating National Punctuation Day. When I read about the passing of John Ingle, who’d starred for two decades as Edward Quartermaine on General Hospital, I wondered if this was the same man who’d ruled high school drama competitions back when I was a fledgling thespian. Yup, same guy. I never met him, but in my era his impact on the semiannual festivals put on by the Drama Teachers Association of Southern California couldn’t possibly be overestimated. I was a student at Alexander Hamilton High School, home of many serious-minded drama kids. Each year we worked hard on our dramatic scenes, comedy scenes, and monologues, hoping to bring back booty. We had some successes (I nabbed a trophy myself, for playing the English-challenged Katharine in Shakespeare’s Henry V), but when it came to the sweepstakes prize we were perennial runners-up to the powerhouse that was Hollywood High School. Hollywood was led by John Ingle, who had a singular knack for directing teenagers in bold material that wowed the judges. Needless to say, we at Hamilton were not big fans of John Ingle. He was clearly a creative talent, and he was wonderful at instilling discipline into his ranks. But he also had this maddening habit of bending the rules. I’ve never forgotten a scene he staged from Federico García Lorca’s The House of Bernarda Alba, a daring choice in an era when school administrators expected their faculty to endorse puritanical standards of conduct. It built to a climax in which a martinet Spanish mother discovers that her pregnant and unwed daughter has hanged herself, and Ingle staged the girl’s death in a way that was sudden and startling. The thing was: we were not allowed costumes or props, and Ingle’s staging made astonishingly dramatic use of a long, dangling shawl. Brilliant? Yes! Unfair? That too. The next year, the scuttlebutt was that if Ingle’s Hollywood High troupe didn’t win the sweepstakes yet again, he was going to decamp to prestigious Beverly Hills High School. Hamilton’s showcase scene from The Miracle Worker actually beat Hollywood that year, and –- however it happened -- Ingle surfaced the following fall at Beverly High, where arts budgets were generous and lots of campus parents had industry connections. Albert Brooks, Nicolas Cage, Richard Dreyfuss, Joanna Gleason, and David Schwimmer are among the famous alumni of Ingle’s Beverly Hills era. And when Ingle retired after thirty years at Beverly, he gravitated naturally into an acting career in film and television, playing powerful patriarchs. 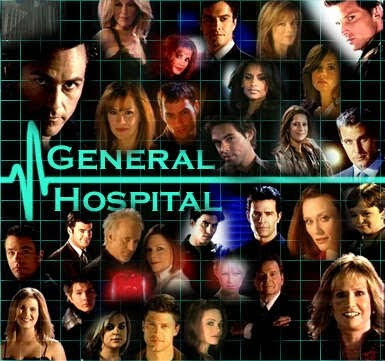 On General Hospital he accrued many fans among cast and crew, along with the audiences at home. L.A. drama students in my era always had a mixed view of the film industry. We considered Hollywood frivolous, at the same time that we secretly lusted after movie jobs. It was always a thrill when a veteran of the drama festival who’d made good on the big screen was called forth to address us as fellow actors. When, years after my own high school days, I covered the festival for the L.A. Times, Mare Winningham was the warmly-welcomed guest speaker. At that later date, I was struck by how cinematic the performances were becoming. Instead of merely presenting a single, well-conceived excerpt from a play, drama teachers were now squeezing bits and pieces of many scenes into a fast-moving live montage (so that a ten-minute selection from Romeo and Juliet, for instance, crammed together meeting, mating, dueling, and death). And everyone’s “street clothes” consisted of long skirts, flowing sleeves, tight leather britches, and high boots. As always, John Ingle led the way. 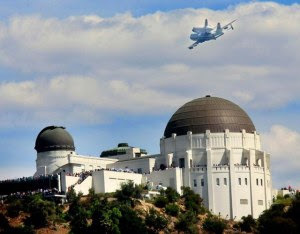 BTW, I just returned from watching Endeavor (the space shuttle, not the Hollywood talent agency) make a pass over the iconic L.A. Observatory. I half-expected to see James Dean come out and challenge it to a chickie run. In an era when a no-budget movie can create a furor halfway around the globe, my chief concern is for those who’ve died at the hands of angry mobs. But a front-page L.A. Times story reminds me that there are other (if undeniably lesser) victims: the actors who were duped into playing roles in this fiasco, thinking that they were being cast in a sword-and-sandal adventure drama, rather than an inflammatory attack on the fundamentals of Islam. The bottom-of-the-barrel actors in Innocence of Muslims insist they had no knowledge of the filmmakers’ intent, that their lines were re-dubbed in the editing room to insert scurrilous anti-Muslim propaganda. But it was clear to them from the start that this was no high-class venture. Why did they sign on? Because actors are always on the look-out for ways to advance their careers. Even if the film they knew as Desert Warrior had vanished without a trace, at least they’d have another credit for their résumés, as well as some clips to pad out their demo reels. I never worked on a film as tacky (or as scurrilous) as Desert Warrior, but I do know something about casting low-budget pictures. 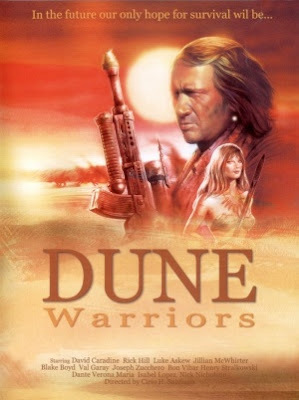 In fact, one of ours (filmed by the inevitable Cirio Santiago) was called Dune Warriors, and the official New Horizons synopsis tells the tale: “After the end of the world, Earth is a thirsty planet ruled by vicious warlords. One woman is brave enough to fight back; she bands together five warriors to save her town and their precious water.” A deathless premise, right? But you can be sure that a goodly number of young actors flocked to our offices, ready and eager to fly to Manila and show off some kung fu moves for the camera. It sounds like fun to participate in a casting session: you’re sitting in a room with like-minded colleagues, hearing the words of your script approached in many different ways, waiting for that one special performer who can bring your vision (such as it is) to life. But casting is grueling, and not just for those who are looking to land a role. I realized at the end of one long day why I felt so tired. It seems that audition spaces are permeated by an air of desperation. Everyone wants work so badly that those in a position to grant it feel weighted down by the hopes and fears the actors are trying to conceal beneath an air of bravado or a pasted-on smile. It’s not only newcomers who can feel desperate. Years ago, I was helping indie director Monte Hellman on the New World film Cockfighter. Monte requested that I bring in a certain New York stage actor to audition for a major role. The actor’s name was very close to that of an L.A.-based TV performer, and I made the honest mistake of getting in touch with the wrong guy. He arrived at the office looking thrilled: although he’d enjoyed a modest career of his own, he happened to be married to an actress who’d just hit it big on a popular sitcom, and I’m sure his morale was in the toilet. Of course when he learned he was not the man on Monte Hellman’s radar, his spirit sunk lower than ever. I’ve felt guilty about that goof ever since. To all the actors who show up for auditions eager to be cast as bikers, or businessmen, or librarians or Latin lovers, I tip my hat –- and hope they can manage to stay out of films that become famous for all the wrong reasons. As I write this, the airwaves are flooded with stories about the tragedy in Libya. Seems a crudely made American film defaming the prophet Muhammad has inflamed devout Muslims and given forces hostile to the fragile new post-Gaddafi regime an opening to attack the U.S. consulate in Benghazi. Now, at least partly because of a movie, four people are dead. Among them is the American Ambassador to Libya, Christopher Stevens, by all accounts a good man and a good diplomat with a wealth of understanding about the Middle East. I hardly want to wade into matters of international politics. But I’m struck once again by what a powerful force movies can be, for good and for ill. A century ago, it was books that changed the world. Think of how the last one hundred years were shaped by readers who found in The Communist Manifesto or Mein Kampf or Quotations from Chairman Mao enticing blueprints for a radically new society. Think of how Darwin’s Origin of Species shook up the certainties of science, and how the writings of Simone de Beauvoir gave women a cause around which to rally. Works of fiction have also had a profound impact. Upton Sinclair’s The Jungle led to public scrutiny of food safety issues in the meatpacking industry, and ultimately to the establishment of the Food and Drug Administration. John Steinbeck’s The Grapes of Wrath promoted a broader awareness of the plight of migrant workers. Alex Haley’s Roots galvanized America regarding the life sagas of its black citizens; it also prompted an interest in genealogy that has never gone away. And of course published versions of the word of God (whether the Bible, the Qur’an, the Book of Mormon, or whatever) have become virtual weapons in holy wars across the globe. Yes, books still matter. (As a lover of written language, I’m personally grateful for that fact.) But movies have so much more immediacy -- so much more purely visceral impact -- that their power can barely be overstated. Documentaries like An Inconvenient Truth mold public perception of key social issues, sometimes even (as in the case of Errol Morris’s The Thin Blue Line), helping to reverse legal rulings. 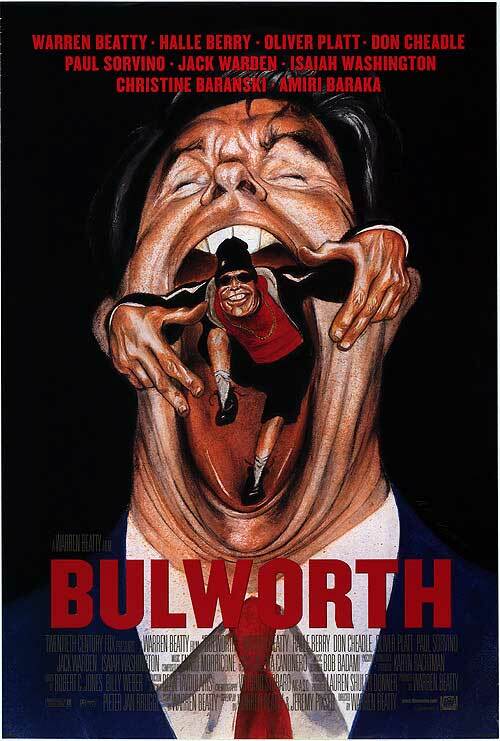 Feature films too can be responsible for shaping the attitudes of their viewers. In 1915, Birth of a Nation convinced many viewers that African American men were dangerous thugs, and that the Ku Klux Klan was on a heroic mission to hold them in check. Fifty years later, the on-screen dignity of Sidney Poitier in such films as The Defiant Ones and In the Heat of the Night told a different story, one that helped to advance the Civil Rights Movement. I don’t think anyone who saw Brokeback Mountain came away unaffected by its sympathetic attitude toward gay men doomed by popular morés to hide their love. What’s different today is that, thanks to the mixed blessings of modern technology, virtually anyone can make and distribute a film. Now it’s not only the studios and big production houses, with their cautious views and armies of lawyers, who are in a position to spread the word. The democratization of mass media has its positive side, of course: we can all express our views via YouTube -- whether we’re touting a political perspective or our cats’ talents on the piano –- and be sure that someone out there is paying attention. But of course when hate speech can travel so far, so fast, we are also courting big trouble. So sad that Ambassador Stevens and his colleagues had to bear the brunt of that realization. For a moment there, it seemed as though the Republican National Convention in Tampa would be swamped by Hurricane Isaac. Florida girded for trouble, but instead Isaac headed for Looziana, much as his older cousin Katrina had done in 2005. Fortunately, the damage wasn’t nearly as great this time around. The levees protecting New Orleans held, and there were “only” eight deaths and 13,000 damaged homes before Isaac moved on. The recurring phenomenon of Southern Louisiana being battered by an outsized storm has reminded me of all the memorable movies that are set in The Big Easy and environs. Some are real oldies, like a steamy 1957 clunker called Band of Angels. 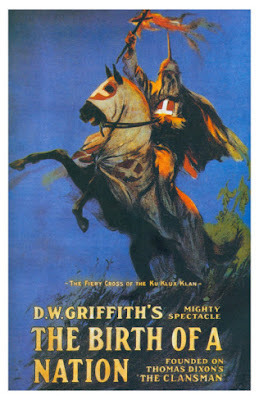 Set before and during the Civil War, Band of Angels features Clark Gable as a slave trader with a secret, Yvonne de Carlo as a privileged daughter of the South who discovers the ugly truth about her parentage, and a very young Sidney Poitier as Gable’s deeply conflicted right-hand man. Fish are jumpin’ and the cotton is high, and there’s a whole lot of miscegenation goin’ on. New Orleans in Band of Angels is where the slave traders gather to ply their evil business. So it’s only fair that when the war comes, the city should be decimated by Union troops. New Orleans suffers again in The Big Easy, a modern-dress thriller from 1987 starring Dennis Quaid, Ellen Barkin, and Ned Beatty. This time the culprit is the corrupt element deeply entrenched within the city’s political and legal establishment. It’s a taut little film, enriched by vivid location shooting. Of course we’ve all looked at New Orleans in a different light since Hurricane Katrina. I have not seen Treme, the acclaimed HBO series that fictionalizes the aftermath of Katrina in one devastated New Orleans neighborhood. But I saw and was deeply moved by the 2008 Oscar-nominated documentary, Trouble the Water, which incorporates real-time video footage of an inundated New Orleans. It was shot by a young ex-drug dealer who loses her home to the floodwaters but never loses hope that she can resurrect her life. This has been a lackluster summer for movies, but one small indie hit is all about water and its impact on a motley group of Louisiana natives. I’m talking about Beasts of the Southern Wild, set not in the city of New Orleans but in a fictitious bayou fishing community known as “The Bathtub.” The denizens of The Bathtub, who are ethnically diverse but share a fierce sense of solidarity against the outside world, have no use for city life. Though their world is threatened by erosion and rising sea levels, they refuse to trade their little pocket of land for a safer, dryer existence. 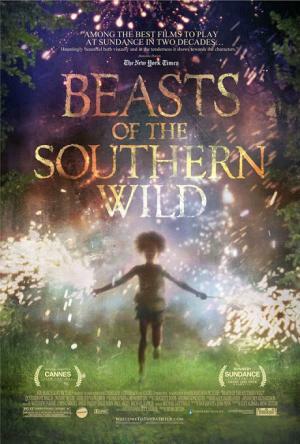 We see this through the eyes of Hushpuppy, who though only six has learned from her daddy to face life squarely. Part of the film’s magic lies in Hushpuppy’s matter-of-fact narration. She’s appreciative of the joy to be found in her soggy surroundings (“The Bathtub has more holidays than the whole rest of the world”), but hangs tough in the face of adversity (“They think we're all gonna drown down here. But we ain't going nowhere”). Hushpuppy is played by a Louisiana local, the remarkable Quvenzhané Wallis, who is already being touted for award consideration. So is another non-actor, Dwight Henry, who plays her father. Says Henry, "I was in Hurricane Katrina in neck-high water. I have an inside understanding for what this movie is about. . . . An outsider couldn't have brought the passion to the role that I did.” Sometimes authenticity truly swamps artistic technique. Among Hollywood’s liberal contingent, there are many shades of ardent political thought, but seemingly less inclination to be counted among the party faithful. (This puts me in mind of Will Rogers’ famous quip: “I belong to no organized party, I'm a Democrat.”) Though a number of Democratic celebs -– among them Robert Vaughn and George Clooney -- have floated the idea of running for office, they seem to prefer keeping their day jobs. 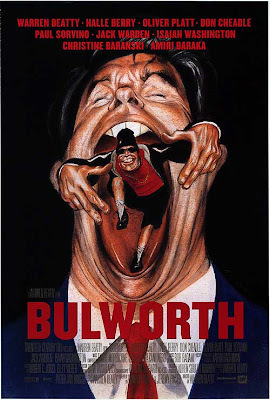 Such was certainly the case with Warren Beatty, who (following his controversial release of the political film Bulworth) seriously toyed with a White House bid. Ross clarifies that in the eyes of political liberals and radicals who attended the Americans for Democratic Action dinner in September 1999, Beatty was seen as “the left’s answer to Ronald Reagan: a charismatic figure who knew how to present complex issues in an engaging and persuasive manner.” He also had campaign experience, having backed Robert Kennedy’s doomed presidential run in 1968, served as George McGovern’s chief fundraiser and media advisor in 1972, then developed a close relationship with Gary Hart, whose own White House campaign derailed so spectacularly in 1988. Beatty, however, is a man who values his own privacy, as well as his Hollywood clout. Though encouraged to run for the presidency himself, he ultimately declined. 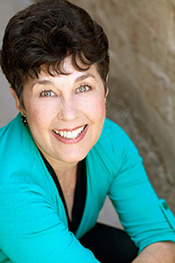 When I was researching the impact of film in the Sixties on the Baby Boom generation, I discovered that many of my fellow Boomers gravitated toward their professions because of what they saw on a movie screen. Fred Stawitz, growing up in Topeka, Kansas, went into teaching at least partly because Sidney Poitier made such a good case for educators in To Sir, With Love. David Steiner of Los Angeles, impressed by screen portrayals of Clarence Darrow types in Inherit the Wind and Compulsion, decided he could best help the underprivileged by going to law school. Of course the screen does some professions no favors. I doubt many young people have decided on a career in dentistry after watching Laurence Olivier work the drill in Marathon Man or Steve Martin turn up the gas in the musical version of Little Shop of Horrors. (Come to think of it, the sadists among us might have flocked to submit their dental school applications because of this duo.) And many occupations are seen through a double lens: some movies show us their best side, while others point up their worst. In movies, doctors cure the sick and heal the wounded, but they are shown in equal measure as cold-hearted leeches who put science and the pursuit of the almighty dollar ahead of the humanity they have vowed to serve. Movie cops keep us safe, but look at how many films depict them as on the take: even the generally heroic Denzel Washington went rogue (and won an Oscar) in Training Day. Teachers are portrayed as hard-working, idealistic, and selfless in Up the Down Staircase, Stand and Deliver, Dead Poets Society, Dangerous Minds, and Freedom Writers, in all of which they work against terrible odds to liberate young minds and hearts. In films geared toward the youth market, though -- take Rock ‘n’ Roll High School and Ferris Bueller’s Day Off as prime examples -- teachers are (at best) foolish and out-of-touch. For every film showing an attorney as a brave crusader (like Gregory Peck in To Kill a Mockingbird), there’s one in which a lawyer is a conniving creature free of moral scruples. Though I’m someone who counts intelligent, ethical lawyers among my friends and family, I can’t resist mentioning my favorite sleazy movie lawyer: Ned Racine (played by William Hurt) in Body Heat. Who can forget Kathleen Turner’s Matty Walker upending the stereotypes of cagey film attorneys when she purrs to Ned, “You aren't too smart, are you? I like that in a man.” That’s before she convinces him to murder her husband. Which brings me to the insurance industry. It’s one that doesn’t inspire many romantic or heroic thoughts. But insurance ties together two things that have intrigued us since time immemorial: money and human jeopardy. That’s why insurance policies, and those who write them, play such key roles in classic film noir. The folks at lifeinsurancequotes.org are serious movie buffs as well as Beverly in Movieland fans. They’ve compiled a most entertaining list of their favorites, ranging from (of course!) 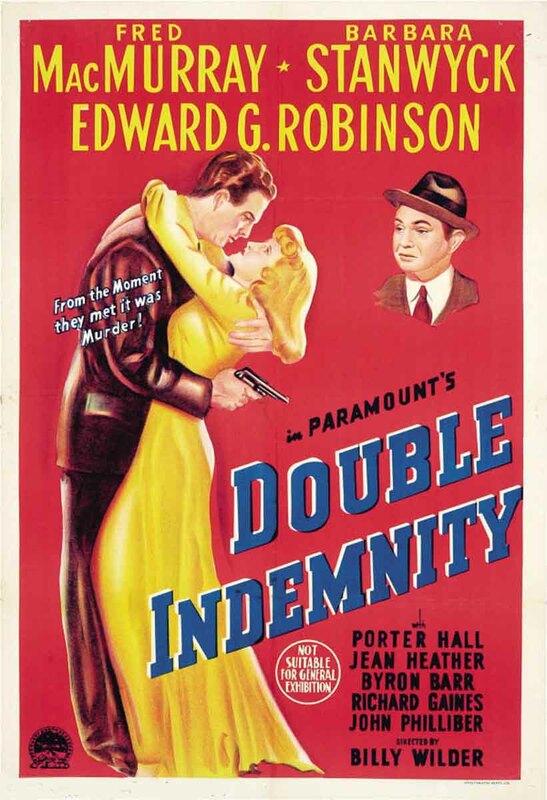 Double Indemnity in 1944 to The Last Seduction fifty years later. Check it out. And stay healthy on Labor Day.